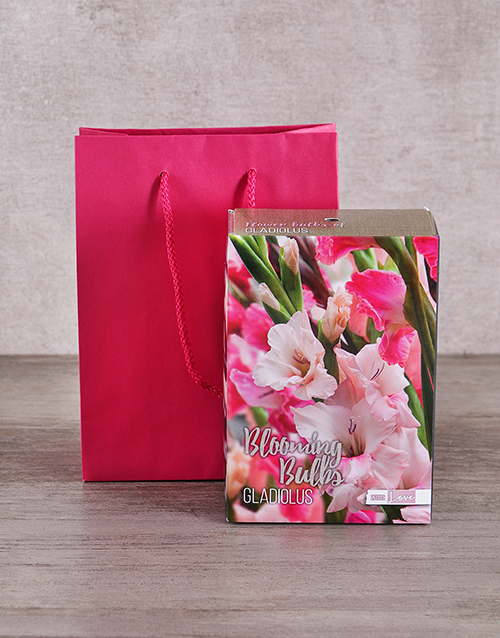 Product Description: less text Let them grow their own gorgeous Gladiolus Bulbs with this ready-to-plant box which comes in a cerise gift bag. It's the perfect original gift for anyone looking to add some colourful beauty to their garden! Get this Gladiolus Bulbs In Cerise Bag delivered with NetFlorist.